Social@IBM: What’s happening inside Big Blue? So what’s happening inside Big Blue? 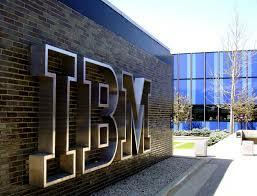 For years IBM has been a benchmark for the industry in stamping the future. Think of PC (Personal Computers), IBM’s acceptance sets the tone for the industry and the world. Introduced on August 12, 1981, PC was created by a team of engineers and designers under the direction of Don Estridge of the IBM Entry Systems Division in Boca Raton, Florida. And since that day PC has entered our lives. IBM’s social networking tool, IBM Connections, is social software for business that lets you access everyone in your professional network, including your colleagues, customers, and partners. It’s amazing features allow a seamless, almost no inbox life, allows IBMers worldwide to connect and collaborate real time. Social is a way of life for IBMers. For example, as on 22 Jan 2013, IBM hosts over 1,38,547 online communities, each with shared resources and discussions. More than 66k are private communities. Not only communities, IBMers love to share content. For example, there are 382K blog users, 61.6K blogs and 190K entries on Connections. IBM’s extensive use of Connections within the organization aims to provide informal learning through social networks to complement traditional learning, attract the best talent through the social channels and establish open communication channels to employee workforce. IBM’s new President and Chief Executive Officer, Ginni Rometty addressed IBMers using a video blog on her first day in her new role, setting the tone of the future. While IBM promotes an open social culture, it is very much aware of how to effectively manage what’s being shared. IBM’s Social Computing Guidelines are available for all and provides guidance to all IBMers. IBMers are encouraged to engage, to learn and to share their learning and thinking with their colleagues. That is what it means to be part of an innovation company. Organizations are tapping the power of social and world leaders like big blue are pioneering the change. IBM recently announced a unique way to attract talent – using social media power of its employees. IBM’s TalentVine site allows IBMers to share their personal links on social networks and allow their friends and families to apply for positions. And earn extra money too.